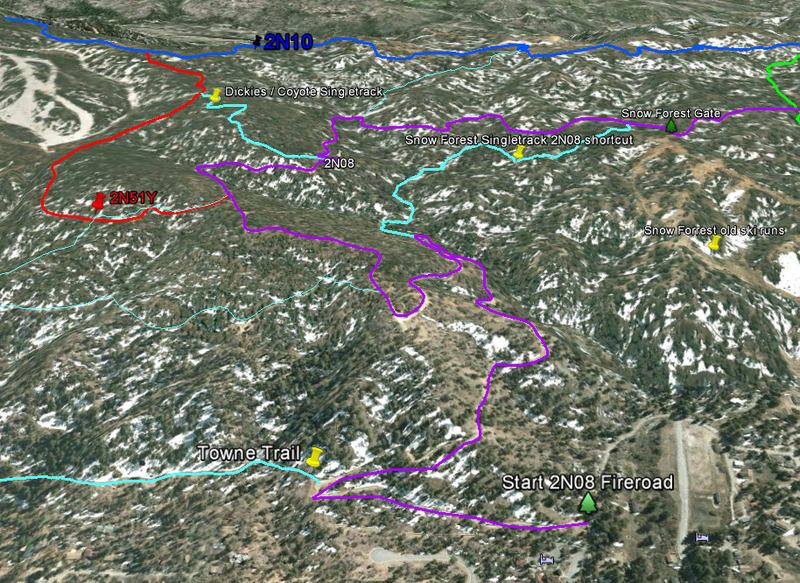 Snow Forest Trail 2N08 Singletrack - Big Bear Mountain Biking Trail Guide Maps GPS - Hiking Trails too! Very fun Singletrack descent. A couple rocky technical spots. Trail starts at the top of the old Snow Forest ski resort. It goes downhill and connects halfway up 2N08. Left on 2N08 and right on Towne Trail takes you back to the Snow Summit Chairlift.